I am truly honored to be included again in the latest volume of Rockport Publishing's LogoLounge 10 by Bill Gardner and Anne Hellman. 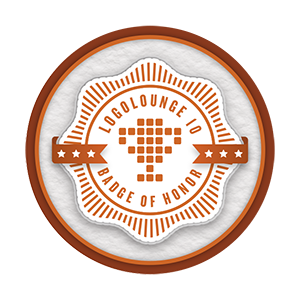 To date, I've had nearly 100 logo designs featured in 12 of the LogoLounge series books. It's a tremendous collection from some very inspiring designers across the globe. LogoLounge vol. 10 presents the 2,000 best logo designs as judged by a select group of identity designers and branding experts. Logos are organized into 20 visual categories for easy reference. Within each section, case studies allow a closer look at designs from diverse firms such as Hornall Anderson, Lippincott, Tether, Von Glitschka Studios, OCD and more. Each story details the logo design journey, from concept to finish. LogoLounge vol. 10 is the definitive logo resource for graphic designers, brand managers and start-ups looking for ideas and inspiration. The publishing release date is set for October 20, 2017.